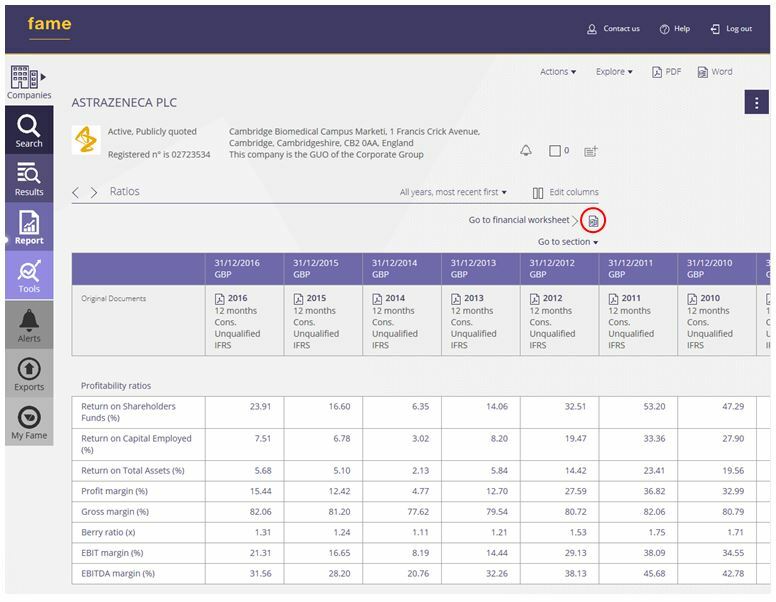 Cranfield University Blogs | Where can I find… Company financial ratios? Financial ratios are often used to measure the performance of a company. These can be found ‘ready-made’ in several of our finance resources. Profitability ratios – e.g. profit margin or return on capital employed. These analyse profitability. Liquidity ratios – e.g. cash ratio. These indicate how quickly a company’s assets can be converted into cash in order to pay creditors. Solvency (or debt) ratios – e.g. debt equity ratio. These show how well a company can deal with its long term financial obligations. 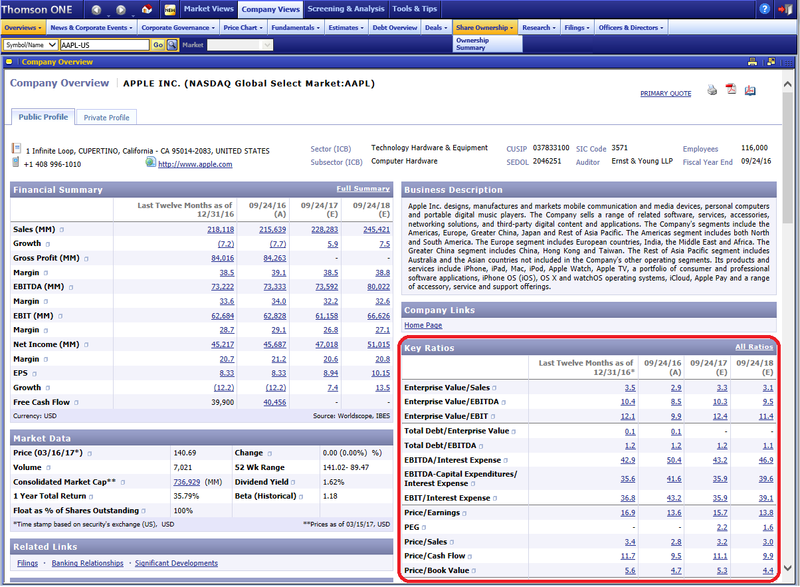 Valuation ratios – e.g. price earnings ratio. These are used to measure the attractiveness of an investment in a company. Analysis of financial ratios can be used to show how well a company is doing relative to its competitors. In this post, we are highlighting resources where the ratios come pre-calculated. 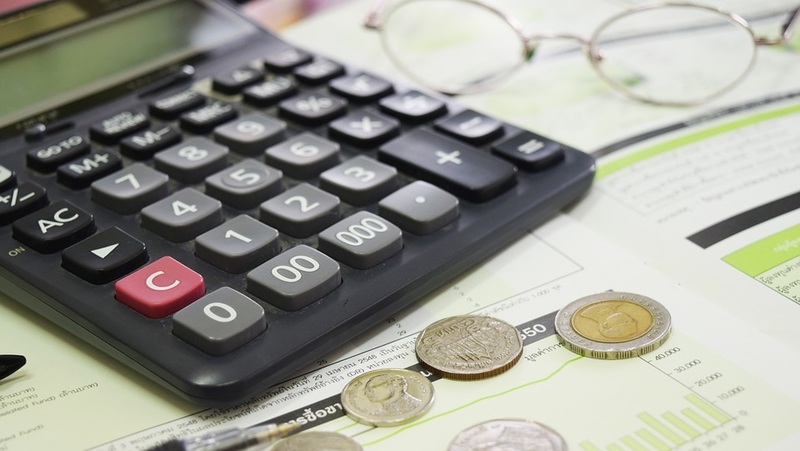 Bear in mind however that ratios are calculated using standard formulae from data in the company’s financial statements – and if you are doing some in-depth analysis, you will be expected to do such calculations yourself. On Fame, ten years of financial ratios are available. To view the ratios section, use the dots icon on the right-hand side to open up the table of contents. From here, select ‘Financials’ > ‘Ratios’. To export, click on the Excel icon. 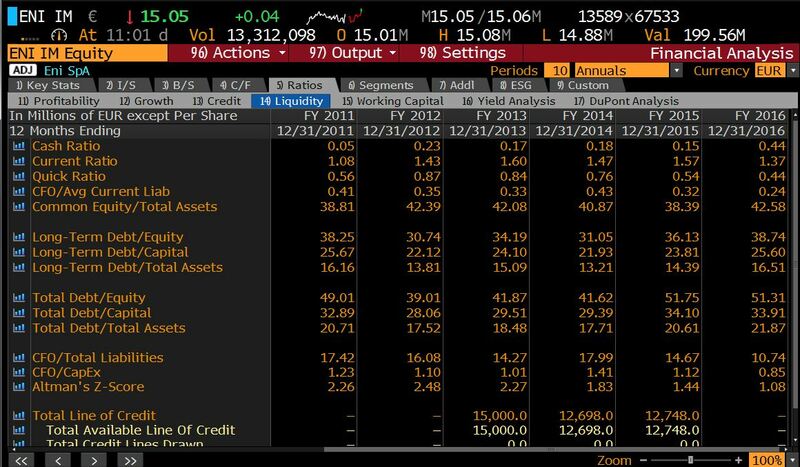 On Bloomberg, a summary can be found in the Company Description <DES> or a more detailed list on the Ratios tab within a company’s Financial Analysis <FA>. To export, first ensure your Office Add-ins are enabled then select ‘Output’ > ‘Excel’> ‘Current Template’ from the red menu bar. 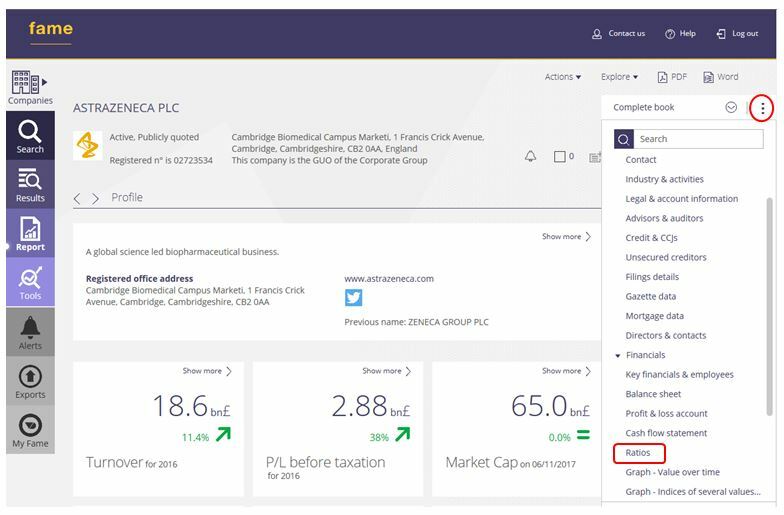 If you have any questions about where to find particular ratios or any other financial data you require, please do not hesitate to contact MIRC. Micromanagement and the seductive lure of high-tech! Or Humans vs Automatons! Tracey leads MIRC support for the MSc’s in Finance, Investment Management, Strategic Marketing, Management and Logistics Courses. Contact her on: mirc@cranfield.ac.uk.